Angie Lander, the owner of Peak Biokinetics, has been practising as a Biokineticist for over 25 years. She has had extensive experience overseas in London and Vail, Colorado and eventually bought the Biokinetics practice at the Sport Science Institute of SA in 1998. 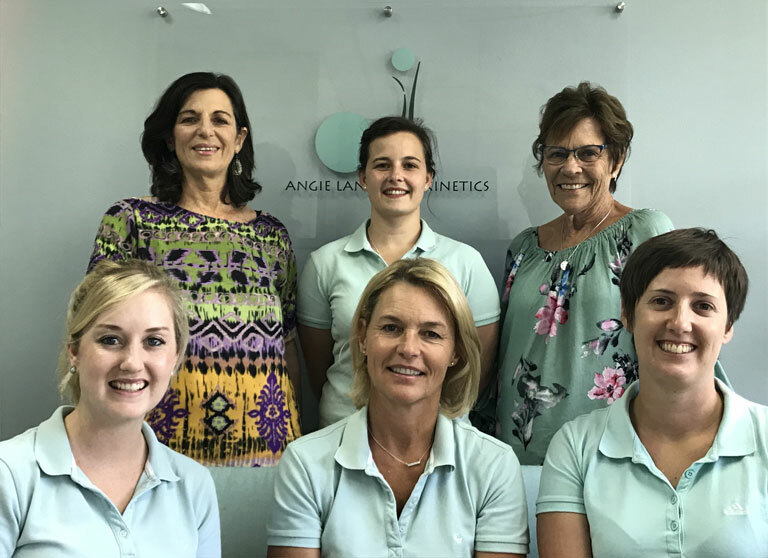 Last year Angie decided to move her practice, with her dynamic team, to new premises to continue specialising in the fields of Scoliosis, Orthopaedic and Neural rehabilitation, as well as her passion for posture, physical literacy and injury prevention in kids. Angie is qualified as a Pilates instructor, massage therapist and an international Schroth therapist. Sorrel Reid has been practising as a Biokineticist at Lander & Pursad and now at Peak Biokinetics for the past three years. She is pursuing her passion for Scoliosis rehabilitation as well as Orthopaedic injury prevention and rehabilitation. Sorrel recently qualified as a Schroth therapist. Kirsten Duthie has been practising as a registered Biokineticist at the practice for the past year. She has been promoting scoliosis awareness in South Africa and runs fun exercise and pilates classes for children with scoliosis and poor posture. Kirsten also specialises in injury prevention and orthopaedic rehabilitation. Divan Swart is our new intern for 2018, who has travelled down from Tshwane University of Technology to pursue his interest in orthopaedic rehabilitation. The other intern for 2018 is Jessica Davies, who studied at the Witwatersrand University to complete her internship with Angie Lander pursuing her interest in orthopaedic and neurological rehabilitation. Lizzie and Helen are our very efficient secretaries who manage our schedules and keep the practice running smoothly.